The Millbrook Beds Elegance features a double layer of up to 1700 individually hand-nested pocket springs (King Size – 150cm) offering superior support to the body and spine. 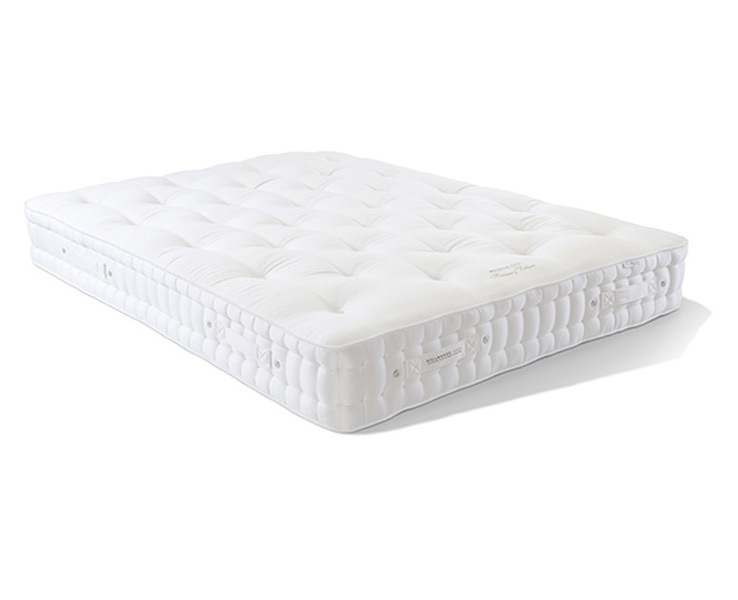 This exquisite mattress combines the ultimate in luxurious natural fabrics and fillings such as layers of cotton, lambswool and silk, all enveloped by a hand-tufted Egyptian cotton cover and completed with two rows of traditional hand side stitching. Traditionally handmade in Great Britain, the Millbrook Beds Elegance offers a beautiful night’s sleep. I was very impressed with the quality and finish of the product. Definitley worth the money!